Here’s a quick review of the likely market movers for this week. Given the light calendar and end of week Good Friday many expect a quiet range bound week. However there are a number of very potent market moving events that could hit, and we don’t just refer to the Cyprus bailout results. Cyprosis: Deterioration of Cyprus caused by hardening of cash arteries that supply it, and side affects related to harsh treatment regime of enlarged banking sector infected with cash from tax cheats which in turn causes irritation, and sensitivity in Germany. On the other hand, with risk assets still in a very firmly entrenched uptrend, news that plays into that trend will tend to get more attention. Markets want to move higher and test decade highs, so that momentum enough might be enough to fuel a Cyprus relief rally for risk assets and especially the EUR and GIIPS stock indexes. See here for further details on how the latest outbreak of “Cyprosis” did and didn’t change the EU situation. Pay careful attention to how the consensus settles on whether Cyprus’s tough treatment (compared to that of Greece) is an exception (given its tiny GDP and role as home of tax cheats) or a harbinger of tougher treatment from the EU. As we’ve noted in past posts, Germany has elections coming this fall and Merkel & Co. need to show they’re not giving out German taxpayer cash unless it’s absolutely necessary and on their terms. Considering the amount of Russian cash potentially at risk, especially from those in power or connected to it, Russian leaders have been remarkably quiet. This silence supports the theory that in fact Putin is ok with the Cyprus bank robbery, because it fits with his own desire to encourage repatriation of that cash without having to take any blame for it. Certainly there’s evidence that Putin and those close to him knew what was coming. See here for further details. There are two potentially market moving events this week from Italy. Pier Luigi Bersani, leader of the centre left and Brussels’ preferred alternative , is trying to wrap up a coalition government this week. If he can’t, then the President could install another unpopular pro-austerity technocrat, leading to more unrest and political uncertainty as markets anticipate yet another election in the coming months. That uncertainty would undermine further undermine confidence in Italy’s (and thus the EU’s) recovery. Confidence in that recovery is all that’s keeping markets from another bout of EU anxiety. Actual economic performance or progress on fixing the EU’s fundamental problems, (discussed here ) certainly hasn’t been reassuring. Italy has an important auction of benchmark 10 year notes. Unlike auctions of shorter maturity paper, sales of longer maturity notes provide a better test of market confidence. EU officials thus do their best to ensure that all looks rosy. Remember, however, that it was the bond markets that essentially forced out Berlusconi. If the EU feels Italians need a reminder to act responsibly, it might let this auction go unsupported. This week’s quiet economic calendar will allow markets time to speculate on two big events in the weeks to follow, the start of Q1 earnings season and the first BoJ meeting and rate announcement under its new Governor Haruhiko Kuroda. Third and fourth quarter earnings for 2012 were not only disappointing, they were also down from 2011. Historically, two straight down quarters (year over year) happen only in recessions. Estimates for the first quarter of this year are up ~ 5% from 2012, but have been revised steadily lower since September, and those downward revisions are now accelerating. Late last week we had downward earnings revisions from either management or analysts for a variety of bellwether sector leaders like Caterpillar, Airgas, Cisco, JDS Uniphase, Guess, Federal Express, and Oracle. With over a week remaining in the first quarter, could well see more downward revisions. Granted, these could just be part of the usual process of making lowball estimates to set up a sudden rash of announcements that exceed expectations and spark a contrived rally (as the fact that these expectations were just revised lower tends to get forgotten). Japanese stocks and those related to them have been rallying for months on little else but anticipation of new stimulus and a further devalued Yen. Headlines that feed or cool speculation about the BoJ actually doing something after months of nothing but talk could continue to be a prime market driver, at least in Asian markets. Celebrations for Good Friday should drain liquidity in Western markets Thursday and Friday, suggesting quiet range bound trade in markets that are open, and forex markets worldwide (which rarely close). As always, however, these low liquidity days are potentially extra volatile if there is any major surprise. Some very big EUR depositors in Cyprus banks learned a painful lesson last week about having too much in one currency in one domicile. Those exposed to the other GIIPS nations no doubt are taking note. Meanwhile Japan prepares to devalue the Yen, and the US is actively churning out $85 bln per month in new dollars. 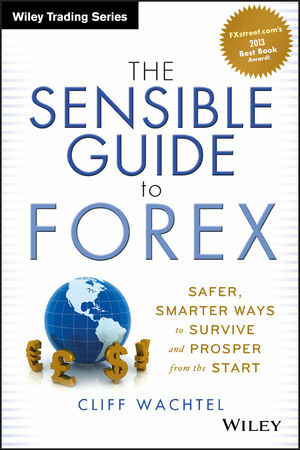 See here or here for details on the latest guide to safer, simpler ways to diversify your assets and income stream by currency exposure. Look at almost any daily or weekly chart of your preferred risk barometer, like the S&P 500. Call it crisis fatigue, call it simple experience with how EU bailout deals tend to be done at the last minute. The current risk rally was stopped last week but hardly dented. Sure, the fundamentals don’t support this rally, as we discussed here. So what? They haven’t slowed the rally yet, so we can’t assume they will for the coming week other. Risk on until proven otherwise.